I have so many stones with writing on them that I don’t know where to start! Perhaps with two from the north India where Islamic design often uses Arabic script such as this inlaid writing on the marble wall of the Taj Mahal of Agra, India. 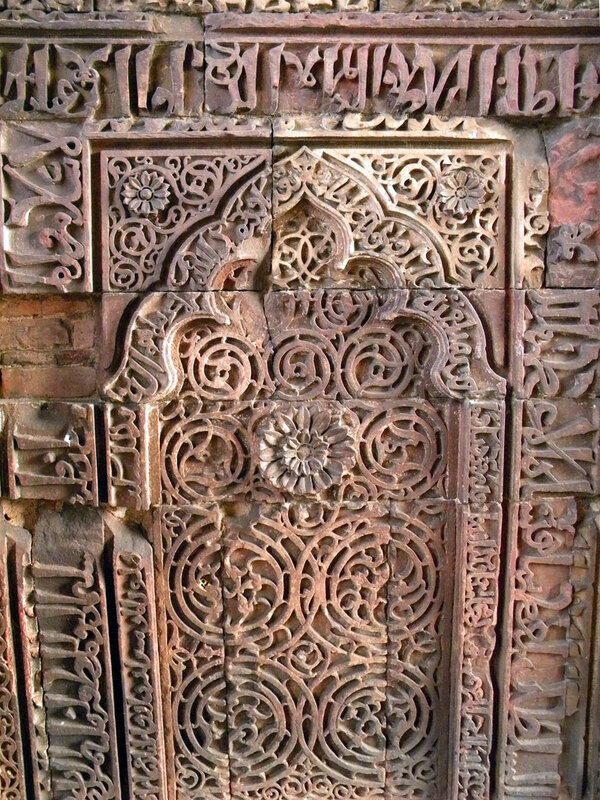 Much of New Delhi’s Red Fort is intricately carved with Islamic motifs consisting of geometric shapes, flowers and what looks to be Arabic script. If walls could talk I wonder what it would say? 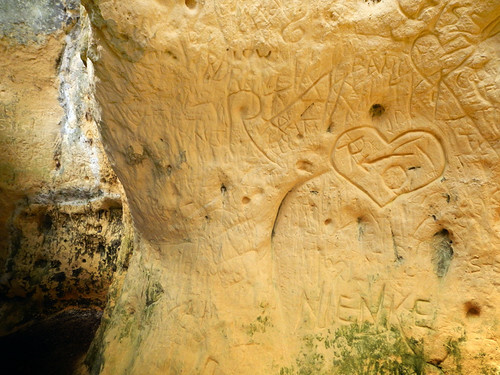 Graffiti carved into the soft marl walls within the Maastricht Cave Tour. 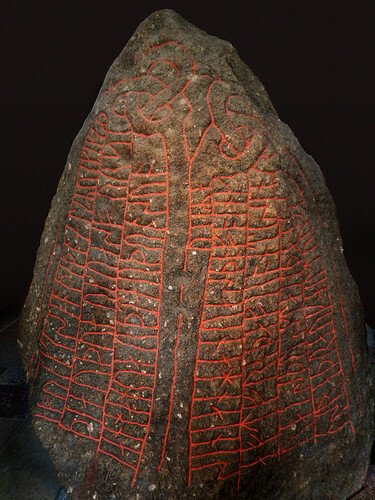 A stone marker with ancient runes written on it at the National History Museum in Copenhagen, Denmark. 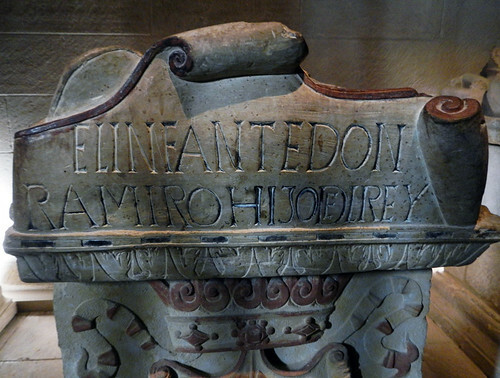 The red paint was added later by archeologists and is somewhat controversial. Graffiti on the wall of a cave on the way to the island of Cat Ba in Vietnam. Najera Monastery in Spain: carved letters in stone. Rather elegant lettering was used for this carved graffiti from 1797 (on a castle in Segovia, Spain). 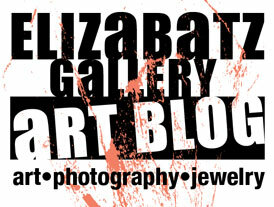 Reusing an old stone carved with writing for a wall in Oaxaca, Mexico. 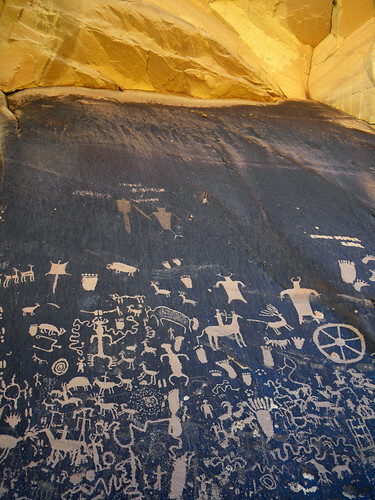 Petroglyphs at Newspaper Rock in Utah, USA. A memorial to the soldiers that lost their lives in the second World War at St-Valery-sur-Sommes says: ‘Nous ne t’oublierons jamais’ – ‘We will never forget’. 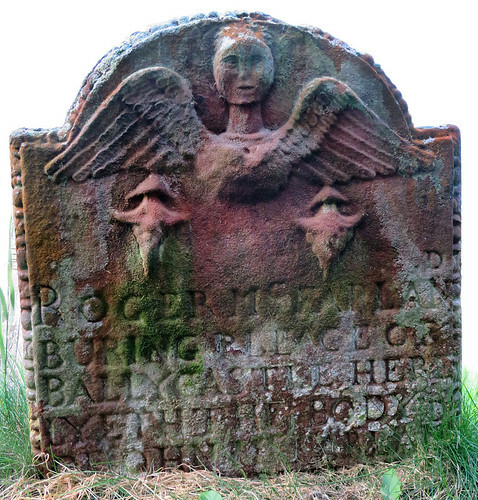 Grave stone at the cemetery at the Bonamargy Friary in Ballycastle, Ireland, UK. Ireland of course had dozens of stone tombstones carved with writing.This is one of my favourites. For a very different sort of writing: Ogham script on slate stones on the Dingle Peninsula, Ireland. 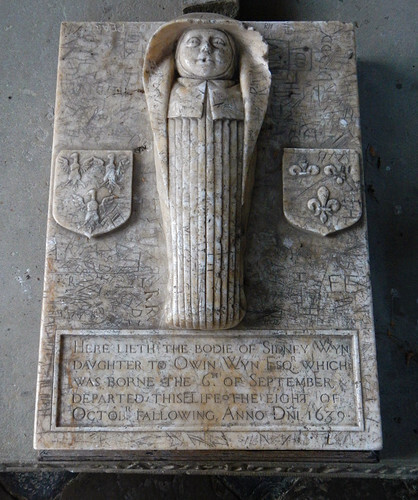 The marble tomb of a baby in St Grwsts Church in Wales. More of the Cosmic Challenge: Written in Stone. These are incredible. Thanks for joining us this week!